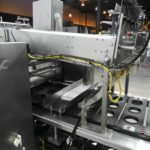 Osgood Model 3600-E-L, 3 lane, inline, stainless steel, cup filler, heat sealer, lidder rated from 30 to 120 cups per minute – depending on materials, application and machine configuration. Currently set in (3) up pattern on 6” centers. 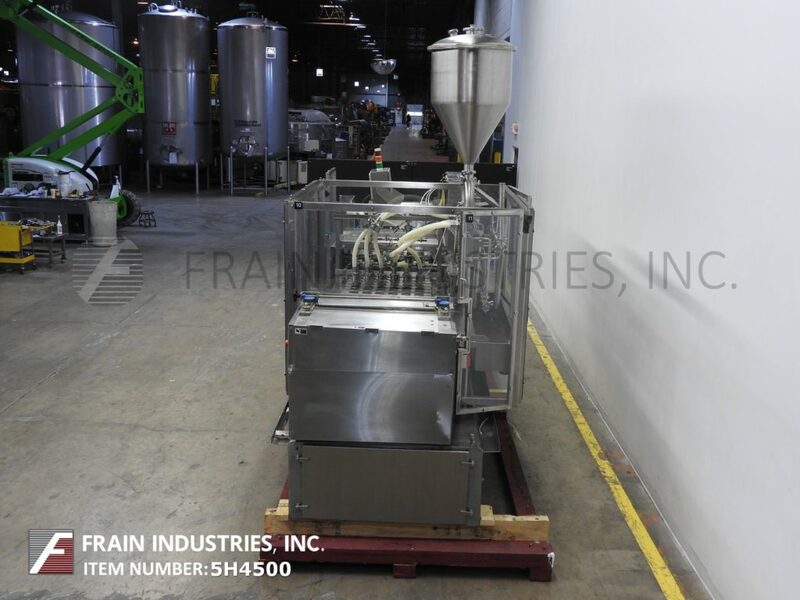 Equipped with (3) lane cup denster, (filler as per application ), roll stock film with heat sealing stations and knife assemblies, 48" long (3) lane powered roller lid magazine with recipicating pic n place and snap on lid section. Control panel has A/B PLC and A/B touch pad controller with panel view and interlock safety doors. 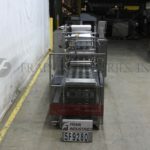 Mounted on heavy duty stainless steel base frame.